It required passion, self-sacrifice and the desire to achieve perfection in order to push Fuente cigars to the pinnacle of world tobacco production. Since its creation in Cuba in 1912, the “Tabacalera Arturo Fuente y Compañia” business has survived many challenges along the way—a forced departure from Cuba following the Castroists’ arrival in power, exile both in Florida and in Nicaragua—to eventually set up in the Dominican Republic. This is where its planters and rollers finally found a place that measured up to their immense talent. It was here, at the beginning of the eighties, that Carlito Fuente, worthy descendant of the founder, Arturo, chose to set up his cigar factory, despite everyone’s advice for him not to settle in the Dominican Republic. It was a gamble that paid off: one hundred and five years after its birth, the Fuente brand has found its rightful place, has competed with and surpassed the best Cuban cigar producers. Enter the watchmaker Hublot. During the centenary of Arturo Fuente cigars in 2012, the two brands decided to become partners, brought together by their shared desire in their own field, to stretch the demonstration of excellence. 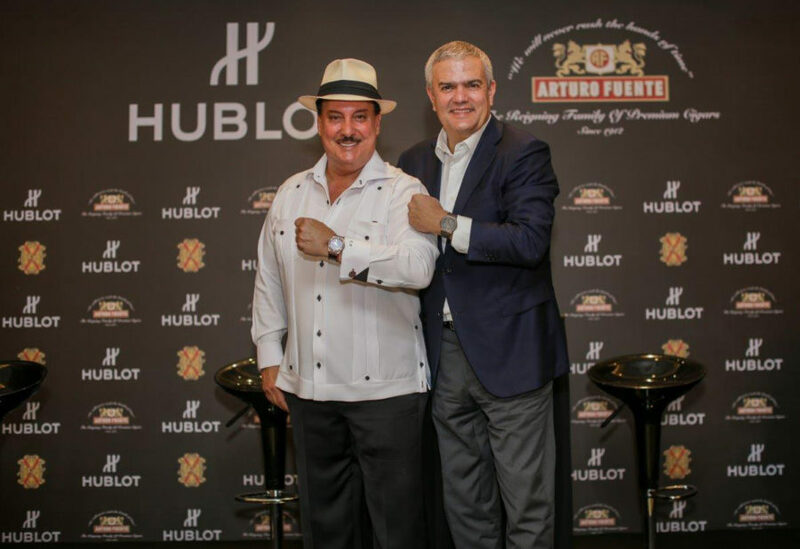 This union has already produced several watch collections and differ-ent charitable initiatives to help the Dominican population through the Fuente Family Foundation. A new creation pays tribute to this common love of fine craftsmanship: the Hublot Classic Fusion Fuente Limited Edition watch. This new release will come in three models produced in limited editions. 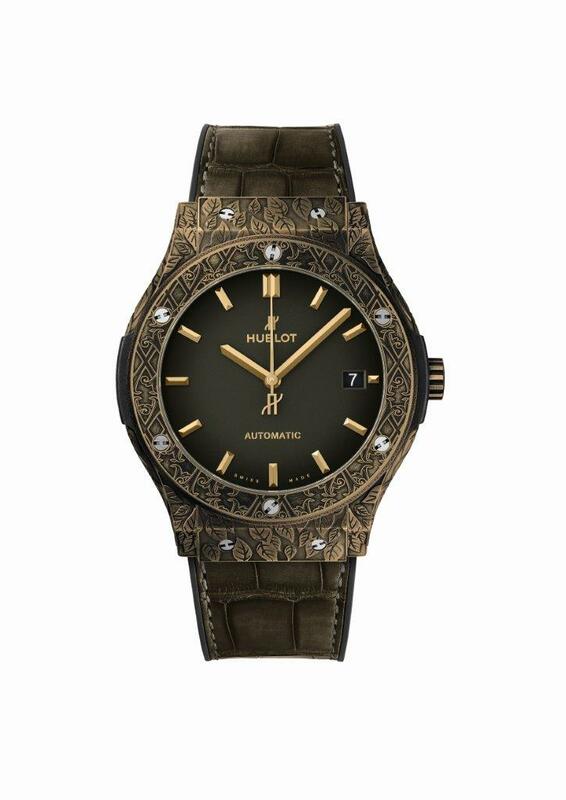 Using the famous Classic Fusion 45-mm diameter case, the first of the models comes in King Gold, a unique alloy developed by the Hublot house and combining gold and ceramic. Made from this precious material, the case, bezel and crown are finely engraved, paying tribute to the Fuente house. The case presents a drawing of tobacco leaves whereas the bezel reproduces a motif reminiscent of the earthenware tiles adorning the floors of the old colonial houses of Havana and incorporating the letter X, emblem of the Fuente family. 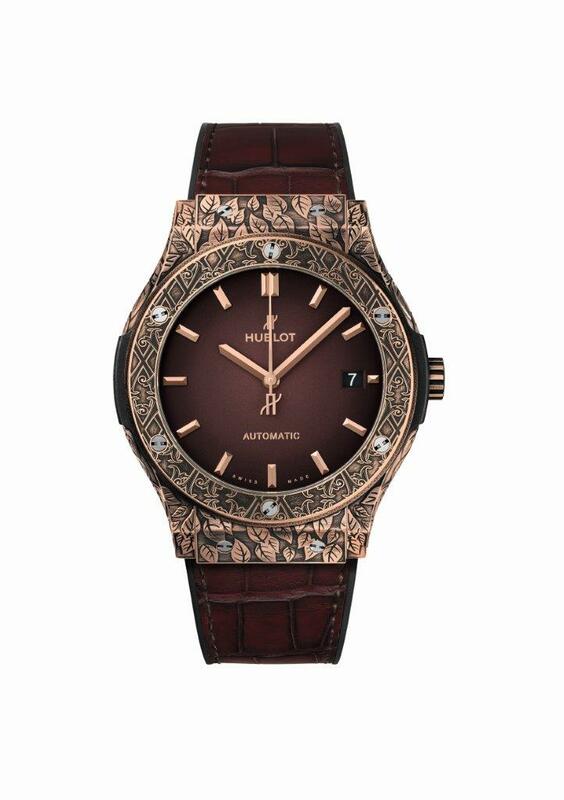 The back of the watch is engraved with an illustration evoking Güines, the town in the province of Havana where the history of the Fuente family took root. It is also marked with “Château de la Fuente” and the model’s limited edition series number. Dis-playing gold plated appliques, its dial comes in burgundy colour, a tonality also used on its deployant buckle clasp strap in rubber-lined alligator skin. Fifty pieces of this version will be produced.